So I had the best time making this little Haunted House. 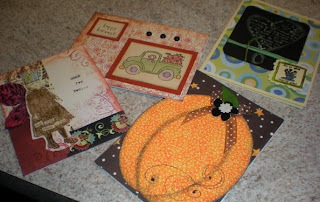 This is a class at The Crafty Scrapper on October 25th. This house uses a great deal of Maya Road and has some really cool techniques. There is a lot of layering of Maya Mist and layering of UTE as well. I always love using Ten Second Studio metal on the roof. My favorite part is the little bat on a spring flying above the house. It is a little hard to see in these picts. I hope to see you on the 25th! Again, we have a kit for the month and are offering a prize for the winner of the challenge. To purchase your kit, go to the online store or the physical store. They are available in both places. For October, we will draw a random number to determine the winner. 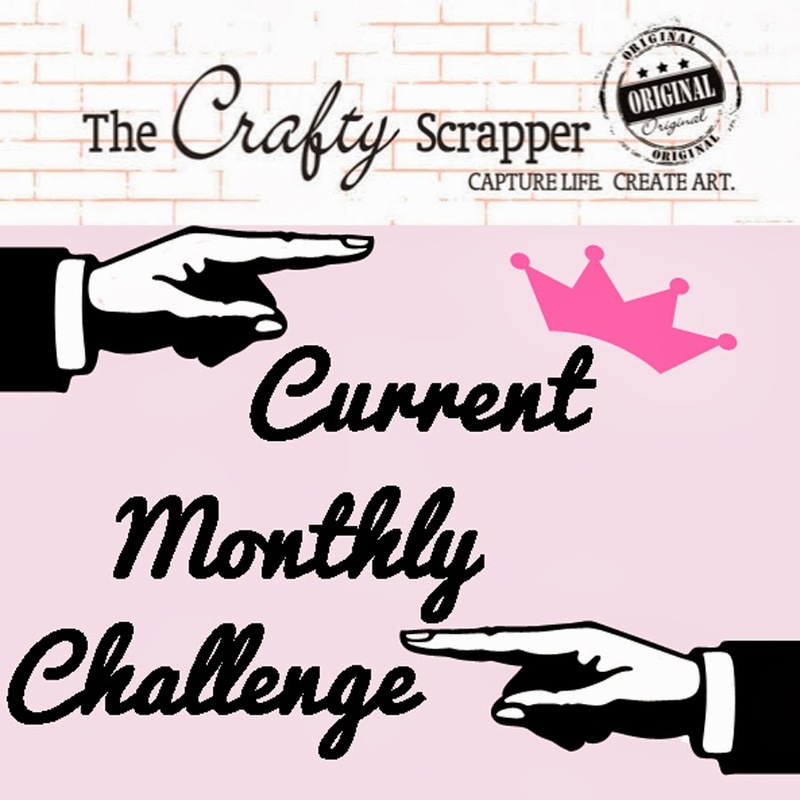 As with the other months, send pictures of your projects to us (Carolyn at thecraftyscrapper dot com or Sherri dot field at sbcglobal dot net). They are due October 31 at Midnight. We will draw a number the next day and post all the entries out on our store gallery. 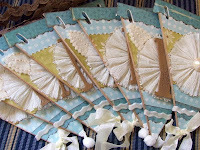 The winner will receive $25.00 product from Crafty Scrapper! This kit is called Finding My Way.....there are some fun vintage & repurposed items in the kit as well as several papers to hopefully stimulate your creativity. Tuesday night is the deadline for the September challenge remember. Look forward to seeing your projects. Just a quick reminder about the Kit Challenge. Edited: The deadline has been extended, so go ahead and send in your projects!! Several of you are aware of this already, but in case you weren't aware, Maya Road has offered to judge this month's kit challenge and they will provide the winner $30.00 of Maya Road product. More information here. Now, several have been at the store looking for a kit and we were out. Today we were able to make some more kits. There were a couple of paper substitutions, but the same wonderful Maya Road products. If you were wanting one and we were out...come by the store OR go to the store's website-it can be purchased there as well. This is a layout made from kit contents by Dee Dee Roe and is on display at the store. Thank you to all the participants. Can't wait to see what you turn in! Hey group, we have extended the deadline, so if you have a project completed, send it to us! the new deadline is October 13 midnight. Thanks. Out on the forum for the store, several types of swaps happen. On September 15, cards were due. Only four people did the card swap this time, but it is still fun to see what people do. As you can see in the picture, each has kind of fall coloring, but are very different from each other. 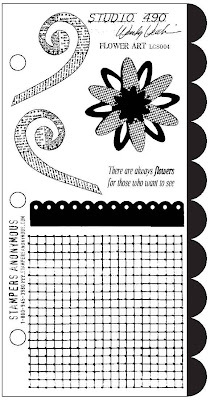 The criteria for the swap was to use black somehow on the card, use floral paper and two stamps. This led the four people in very different directions. If you like swaps, go over to the forum and check out all the swaps. 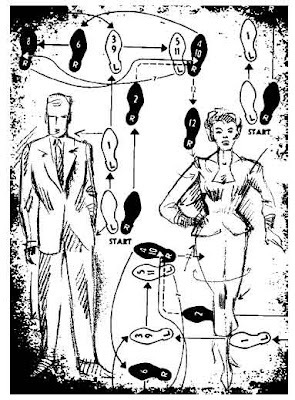 There is also a lot of other information out there as well and a lot of fun, sometimes silly fun. Weddings are such happy times! A while back a friend at work asked me to do a canvas for her son and new daughter-in-law. The colors of their wedding on the beach were SO wonderful. Before I could get it done (mostly because of my car accident and the fact that I don't have as much stamina right now), she asked me to do a frame for them too. Today I finally completed both. And I just love the finished projects. I can't wait to take them to her tomorrow. It made me think that it just isn't too soon to start thinking about Christmas presents. Canvas art and framed 12x12 layouts make WONDERFUL gifts. 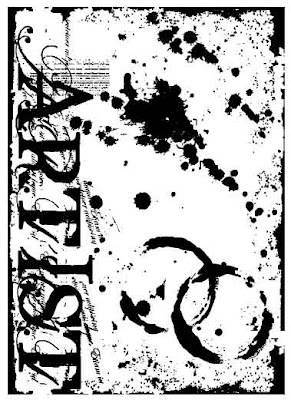 What will you do creatively this holiday season? 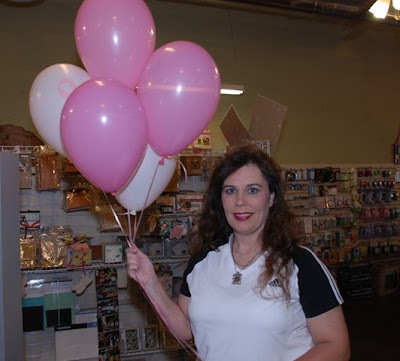 Lisa Pace, a Memory Maker Master and very talented scrapbooker, came to the store Saturday. I know she is going to kill me for saying that, she is very humble about her talent. But I am sorry Lisa I have to say it "you're awesome!" And I cannot believe we didn't take any pictures, I think we were all to busy talking. Here are a couple of pictures of the classes Lisa taught, I even bought a kit to do later. If you were not able to take the class, you can check out her WEBSITE for kits. Thank you Lisa so much for coming down. I had so much fun making this little witches hat. This Little Yellow Bicycle Halloween paper is too much fun! On the black base, I used the flocked web paper. Then I made a cone out of the black haunted paper. The bottom is a freehand scalloped circle. Then I painted the hat with the new dual color glitter glue at the store. The little skull button and the glittery bat scrolls made great accents. You can leave the top of the hat pointy or bend it for a little character. Either way, it is a fun project. This school year I have been able to help a lot more up at my son's school. I never realized how much stuff the teachers do on their own time and who many things they actually have to buy themselves for their class rooms. So I wanted to make his teacher something special to show how much we appreciate her. The schools theme this year is "Wild about Education", "Wild about learning". So I used some cute zoo paper and the new chipboard zoo animals from Maya Road. Their zoo stamp set was made to work with the chipboard. There is a lot going on at the store these days. Last Saturday was the breast cancer crop as you have seen. Well, don't rest too long because this weekend has the special Saturday of classes with Lisa M. Pace!! 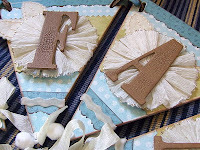 Whether you are an experienced scrapper looking for an unusual project or a new scrapper wanting to learn about layouts and projects, there is a class for you. Here are some pictures of one of the classes to be held, the specific times and costs are listed on the events page of the website. You can sign up for just one class or for all of them. There have been a few changes in the scheduling, so check out the events page. Call the store to sign up for any classes you want to take. Class sizes are limited so call as soon as you can!! It's Starting to get a little Creepy! This is a great little punch out book by Little Yellow Bicycle, is is super easy, fun, and extremely affordable! At just $2.99 all I added was a few snips of ribbon and a Maya Ribbon Clasp and some keys, everything else is INCLUDED! You may have missed it walking by as it looks like a piece of paper but look a little closer!!! BOO! hehehe, there it is. Great teacher present, grandparents, friends. Just a quick easy way to capture the moment. It even has a journaling pull out so you do not miss the details! I am ready to make some new memories this Halloween, but what shall I wear???? ...we hope that we at least gave it a good strong punch! Saturday was the big fund raising event. Hurricane Ike managed to only disrupt the festivities a little. The boxing ring had to be taken down from outside and put up inside the store instead but that was about it. Fortunately, Ike went a little more east than our area and the worst we got was a couple inches of rain. 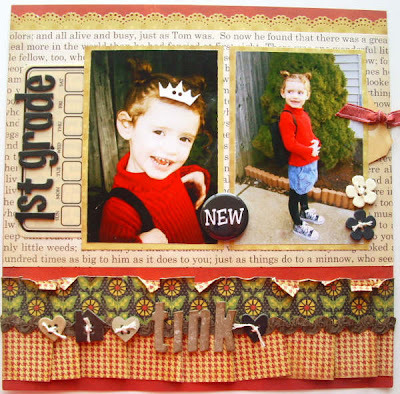 Each cropper was greeted by a cheerful stack of scrapbook items and a special candy treat. Pink balloons were everywhere in the store. Breakfast, lunch and supper were provided for the croppers as well. The money paid by each cropper was donated to the Susan G. Komen Foundation. In addition, there were raffle tickets sold for great prizes and the money from that will also go to the foundation. The group honored three survivors attending the crop this year with a pink rose bouquet and took a moment of silence to remember others who had lost their fight against breast cancer. The store provided a project for the attendees which reminded us all that a cure might be in our hands. We each need to take charge of our health with monthly checks, mammograms, BRCA testing and other opportunities as appropriate to find problems early. Education about cancer and treatments are readily available for us. We can also provide help with our hands by sharing our time and resources toward a cure. Thanks Pink Junkies and to all who supported this event Saturday. PS: We have posted a few pictures out on flicker group too. Ok....I have a strange little family. This is my dog Kipper way up high in a tree. Do you have any funny...or strange pictures? Photo quality obviously doesn't have to be wonderful. Scrap that picture and then either visit me on the forum or reply to this thread with a link where I can find the LO and I will do a little drawing for a RAK from me to the Crafty scrapper. AWESOME NEWS!!. Maya Road is providing the prize for the winner of the challenge this month will receive $30.00 worth of Maya Road Product. Exciting, huh? Well, I thought so anyway. Send us the pictures by September 30 at midnight, we'll put out the winner by October 2nd. The kits are on sale both in the store and on-line. Supplies are limited though, so if you want one, get it soon! Thanks. 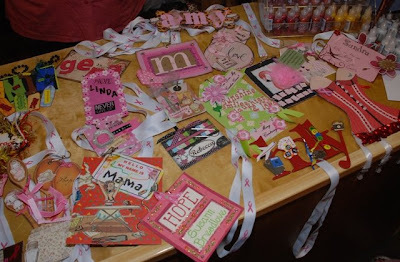 Crafty Scrapper will host the 4th Annual Breast Cancer Crop benefiting the Breast Cancer 3-Day Walk on Saturday, September 13th 2008 from 10am-midnight. 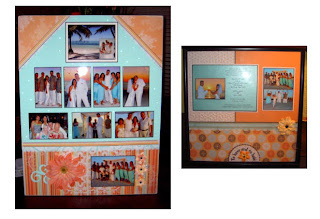 This annual favorite offers scrapbookers a time to enjoy their favorite hobby by cropping for the cure. Laura Megonigal is the organizer of this event and the founder of the "Pink Junkies" 3-day walking team. This will be her 4th year to participate in the 3-day walk. Thousands of women and men will unite in cities across the country and walk 60 miles over a course of 3 days. It's a weekend of hope as we honor lives lost, celebrate survivors, and promote breast cancer research. The Pink Junkies are committed to walk 60 miles in memory of those who died and for those who survived breast cancer. 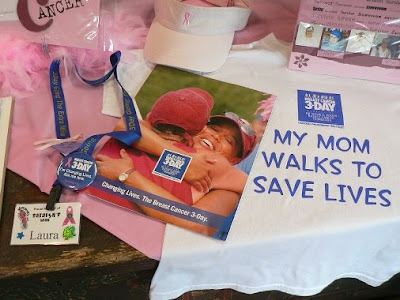 Please let us know if you are a survivor so they can walk for you, or in memory of a loved one. On this day, there will be 50 women Scrapbooking in the store in the largest crop we do each year. This year's crop sold out in a matter of hours. However, the store will be open as usual and there will be plenty of activities going on for anyone visiting the store. There will be a Pink Knock Out Boxing Ring out in front of our store. For a $5.00 donation you can have your photograph taken in the ring with a friend. 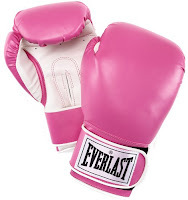 There are pink boxing gloves for you to wear in the photos. There will be some make and takes happening. The store is stocked full of new products as well. Tickets for wonderful raffle prizes will be sold. In fact these can already be purchased at the store. Along with all the scrapbook products, we have a Dooney purse, pink digital camera, camera bag, lots of bath stuff, travel bags, breasts cancer Brighton bracelet, Coach breast cancer key chain and lots more. There is also a separate raffle for a $400 Coach purse. You will see many of these prizes along with other mementos in our store window!! For those attending the crop: a reminder that there will be the usual name tag contest. So don't forget to make your tag. (here is a photo of last year's tags) and there are more at the post from last year's event. Let's make this the best year yet!! Brainstorming always ends up with such great things. Isla and I were talking about the little Maya Road train one afternoon and I was showing her a baby train I had been working on. Well, her creative mind started thinking and she said I bet it would make a great Halloween train and then she went right home and made one. This is a fabulous project and several people have bought papers to make their own now. The pictures do not do it any justice, but trust me it is Fabulous! She used K&Co diecuts and the animal & cage key chains from Maya Road as well as the Maya Road chipboard train album. Isn't it Great! 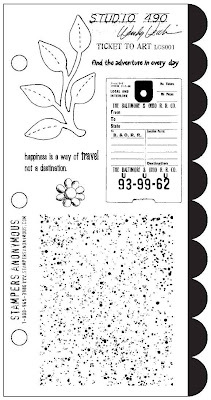 We received a shipment of great stamps today. 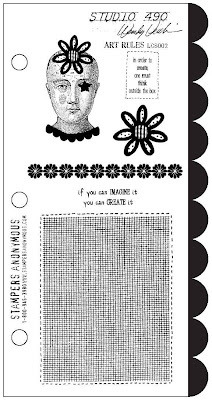 We got several of Tim Holtz's new stamps & new stamps by Wendy Vecchi. When you come into the store, you will see all of these displayed in a new spot. I know you will really love these new stamps. I have put some pictures here for you too. Wendy is the designer who is coming to our store in October. Check out the events page on the website for more details & sign up at the store for a class or four. The first three stamps are Wendy's and then some of Tim's. We also have some by Teresa Collins. Come by and see!